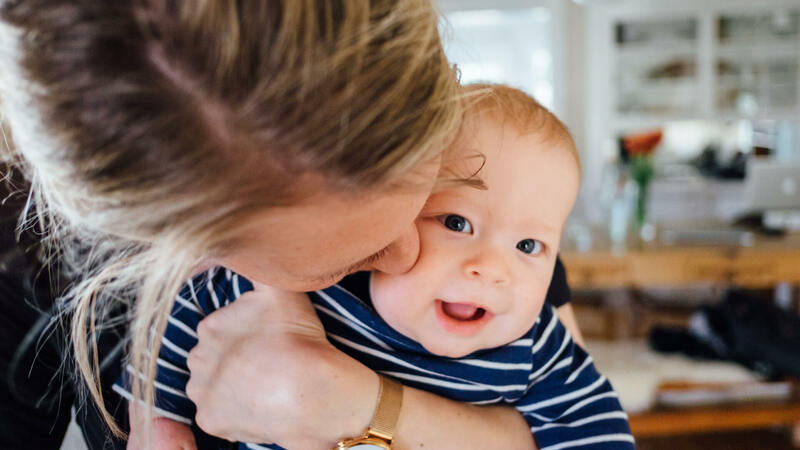 When I had my first child, I often got very worried while they were sleeping (something I’m sure many first-time parents go through); even with a baby monitor, it was still a very stressful experience. Every little cough caused me to think: “is this a regular cough, or something more dangerous?” I couldn’t tell using a regular baby monitor and let me say that it terrified me. It was around that time that I switched to video baby monitors, and since then I have never gone back to using sound only monitors. 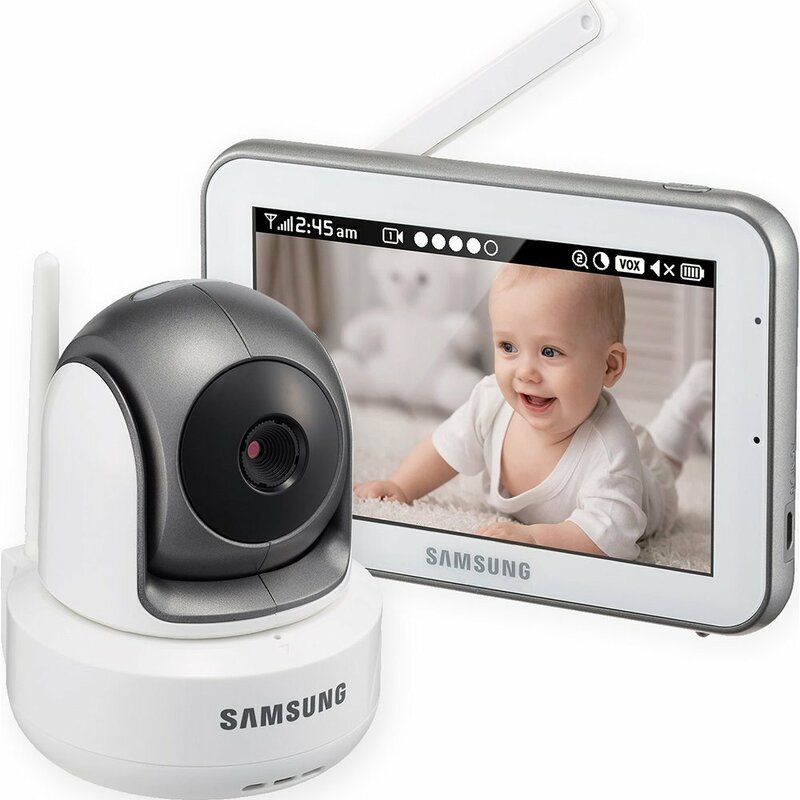 In this review, I want to talk to you about a video monitor that I have been using recently, the Samsung Wisenet video baby monitor and explain why I think you should be using it too. I think there are a few features that every parent will love about the Samsung Wisenet. Personally, probably my favorite feature of the Samsung Wisenet is its night vision capabilities. Using a bunch of non-visible infrared LEDs, you can toggle on night vision that works for over 15 feet. Obviously, this feature isn’t useful for most of the day, but I really like being able to do late-night checkups without disturbing the baby. Because the lights aren’t visible, you don’t have to worry about them waking up your baby when you turn them on. This is definitely a feature that I wish a lot more video baby monitors had. Now, this isn’t going to be a major deal for some people, but I think many parents will appreciate it nonetheless. The Samsung Wisenet comes with a soothing nightlight and a bunch of preprogrammed lullabies. Personally, I have these to be very helpful when my little one is acting up and doesn’t want to go to bed. But obviously, your mileage will vary. I still think it is a good feature to include and I am glad they did. The last positive aspect that I want to talk is the picture quality that the Samsung Wisenet offers. I’ve used a lot of video baby monitors over the years and I can say that without a doubt, the Samsung Wisenet blows them all out of the water when it comes to picture quality. It offers both HD quality picture and 300-degree rotation, so you can get always have a clear idea of what’s going on in your child’s room. I really only have one minor complaint about the monitor and it relates to its low battery life. I found that I could only really get 5-6 hours of use out of the monitor before it needed to be charged. Given how great the Samsung Wisenet is, it’s not a big deal, but I still would have liked a larger battery life. The bottom line is that if you want the best video baby monitors on the market, then you need to check out the Samsun Wisenet video baby monitor on Amazon.